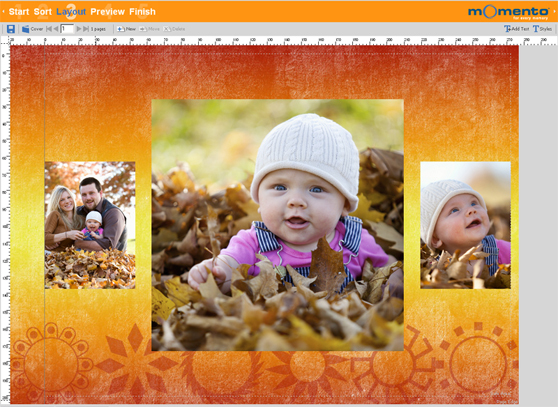 You can turn any photo or graphic in to a background image that will fill the whole page. Use your own photo or one of Momento's pre-designed Backgrounds. Momento has created a series background images including colourful designs, themed images, patterns and lightly textured single colour graphics, which are designed for optimum print performance. The Backgrounds Panel can be accessed by clicking on the Backgrounds icon in the Content Panel sub-menu available in Sort View, Layout View and Cover View. Go to the Updater Panel to browse and select more Backgrounds packages. 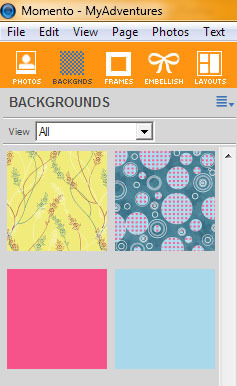 Once downloaded the new Backgrounds will be availalbe in the Backgrounds Panel. Click on the background image and drag it onto the page. You can edit and adjust a Background just as you would any other photo or graphic in a Project, but first you need to 'Clear' the background. 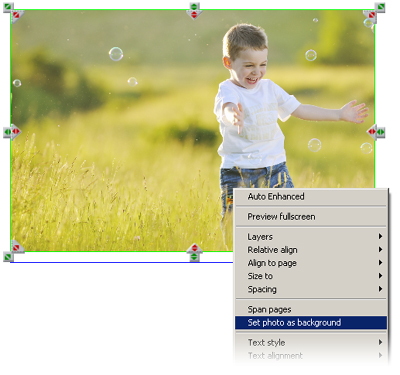 Select Clear Background Image from the Layout Menu. 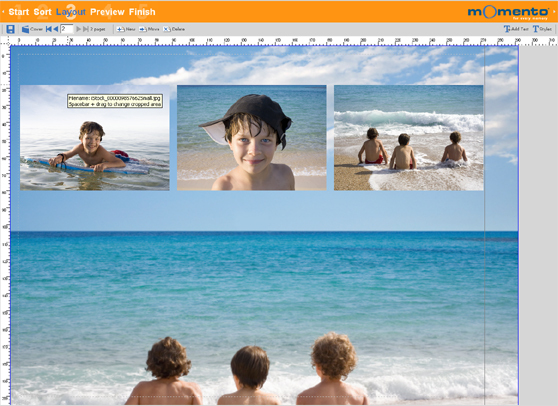 As the Background Layer, all other photos, text and elements on the page will sit on top of the Background. See the Layer & Swap section for more details.